Heindl Engineering Motorcycle Stands was initially started in 2003 by two brothers with a simple yet precise goal: To provide the motorcycle enthusiast with high quality motorcycle service stands at an affordable price. Heindl Engineering stands behind all of the products that we manufacture. With 6000+ units sold to date, we still strive to achieve 100% customer satisfaction. Heindl Engineering, LLC is a family operation. To better accommodate the growing demand for our products, we moved into our new production facility in 2005. It is still our mission to provide all motorcyclists with quality products, superior customer service, at an affordable price. If you are not satisfied, then we are not satisfied. Heindl Engineering, LLC is still a family operation. Organized into an LLC in 2005 by Jon (the son and President) and Dave (the father and Vice President) to continue to grow the motorcycle stand manufacturing business. 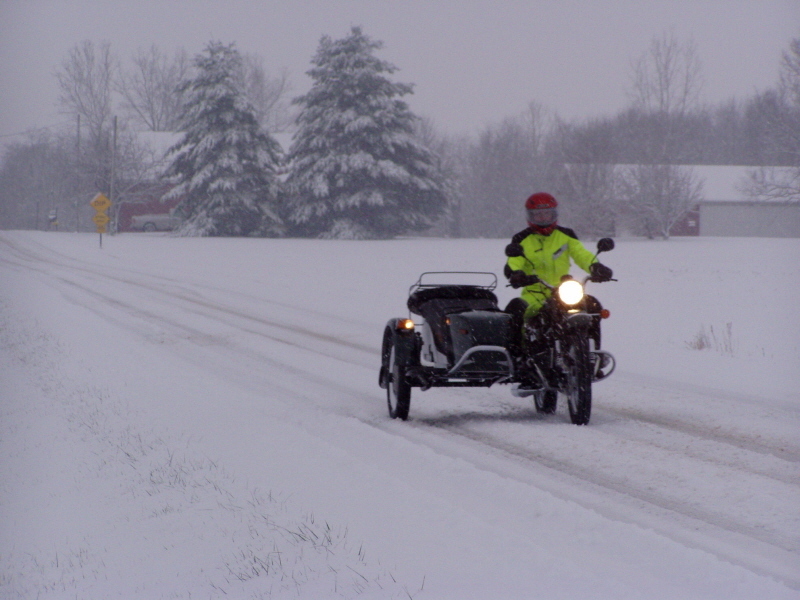 During this time, we became very interested in Ural Sidecar motorcycles. After much investigation, we decided to step up and fill the void in the market by becoming a dealer in southwestern Ohio for these wonderful machines. Having many years of riding experience and having logged tens of thousands of miles on 2 wheels, we were ready for the next and very enjoyable experience of 3 wheels. Both Dave and Jon have been trough IMWA's technical training and are authorized to sell and service all Ural models. In the Fall of 2007, Heindl Engineering, LLC added the Royal Enfield line to our product mix. During the Summer of 2008, Keeway Scooters were added to help our customers combat the rising cost of fuel. Later in 2008, the United Motors (UM) line was added to our product offering. Heindl Engineering, LLC continues to grow and adapt to the ever-changing business environment through our ability to offer quality products, timely service and broad based line of accessories for all brands of motorcycles and scooters. In 2010, we started selling Kymco ATVs. We welcome you to come and visit our shop. It is our intent to provide every customer with the quality of service that we would expect to receive ourselves. If you have a problem with your machine, whether you purchased it from us or not, give us a call and we would be more than glad to help.